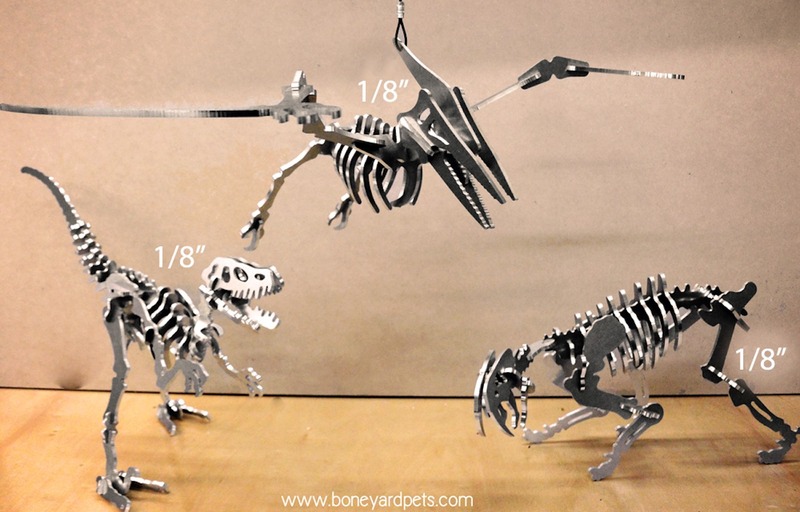 Experience prehistoric creatures in modern forms with the Boneyard Pets 3D Aluminum Dinosaur Skeleton coming in a limited edition of 100. 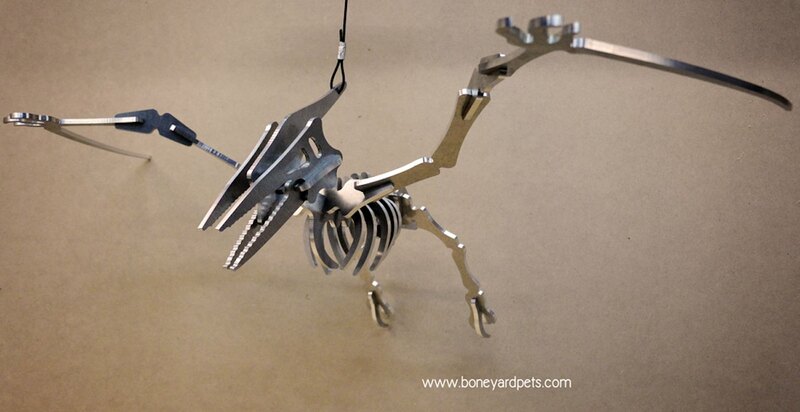 Experience prehistoric creatures in modern forms with the Boneyard Pets 3D Aluminum Dinosaur Skeleton. 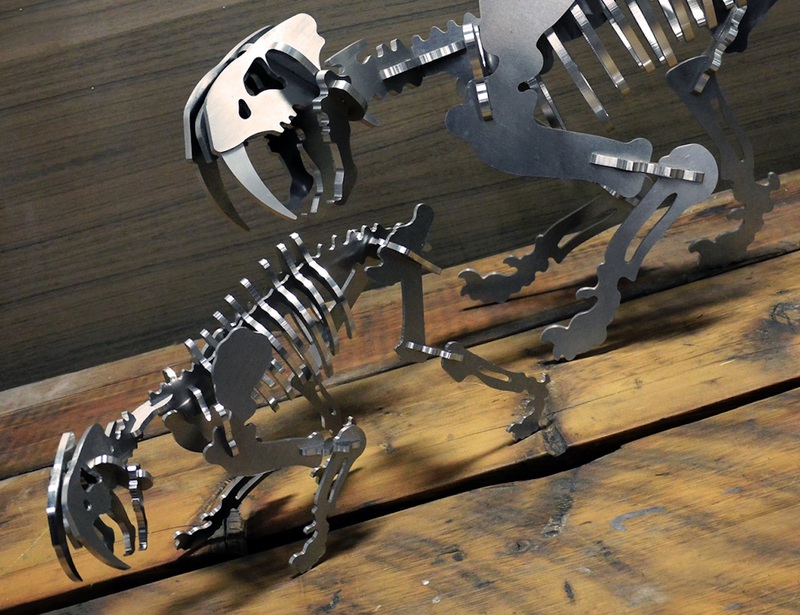 Available in two genera of dinosaurs, these sculptures are a part of a limited edition of 100. 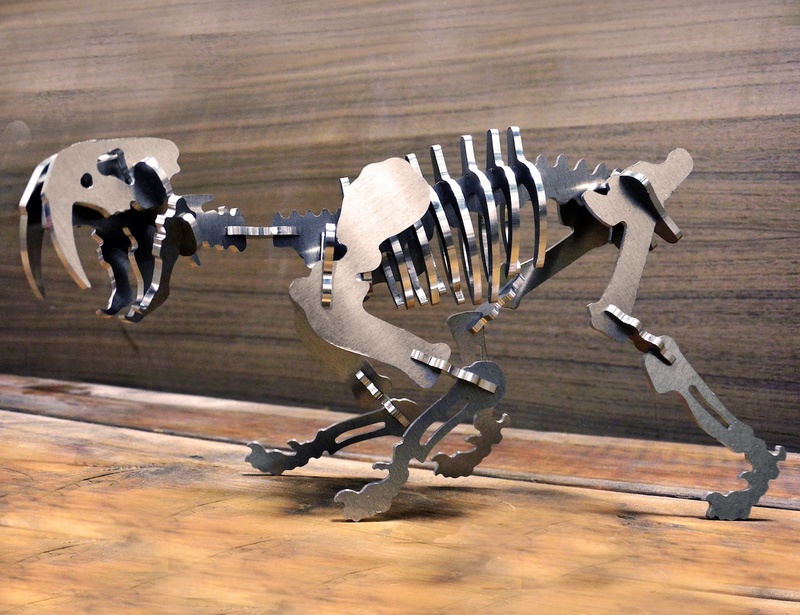 Originally featuring a plastic structure, the Boneyard Pets Smilodon and Velociraptor have a modern touch with stunning aluminum. 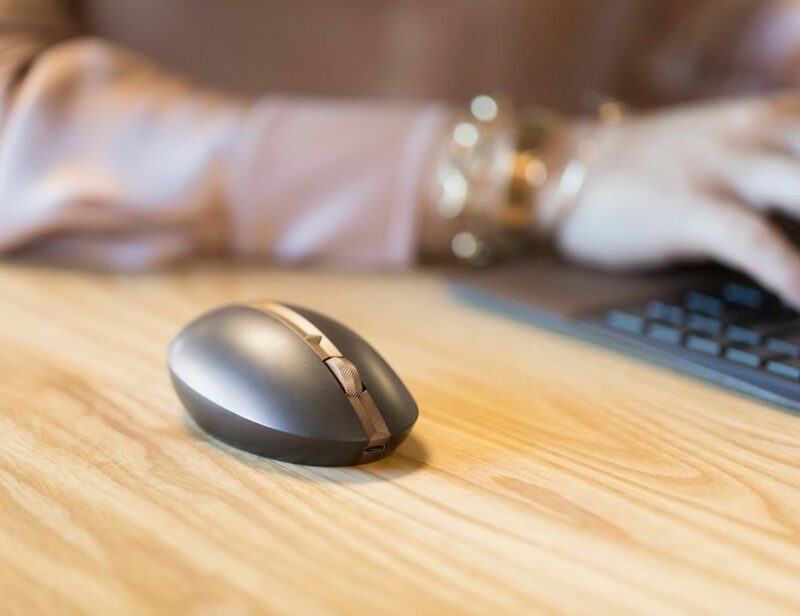 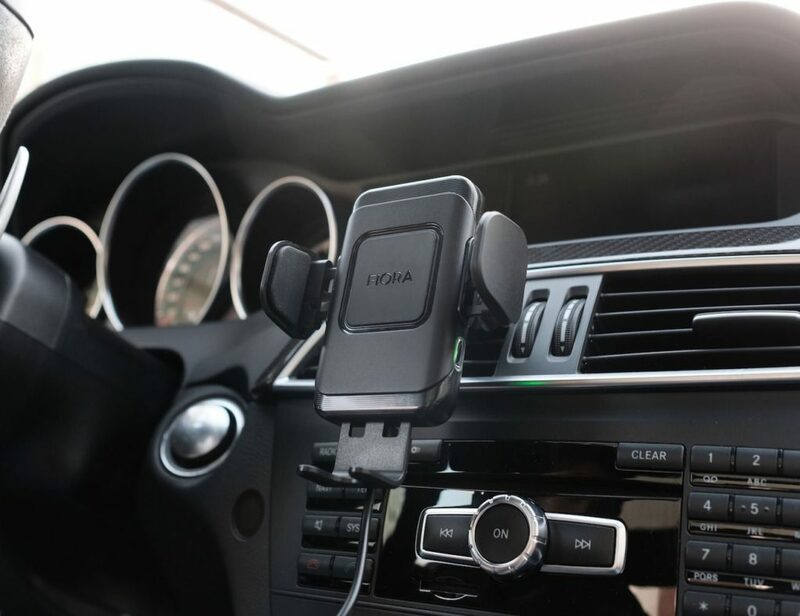 The high-quality material is perfect for display even in an upscale setting. 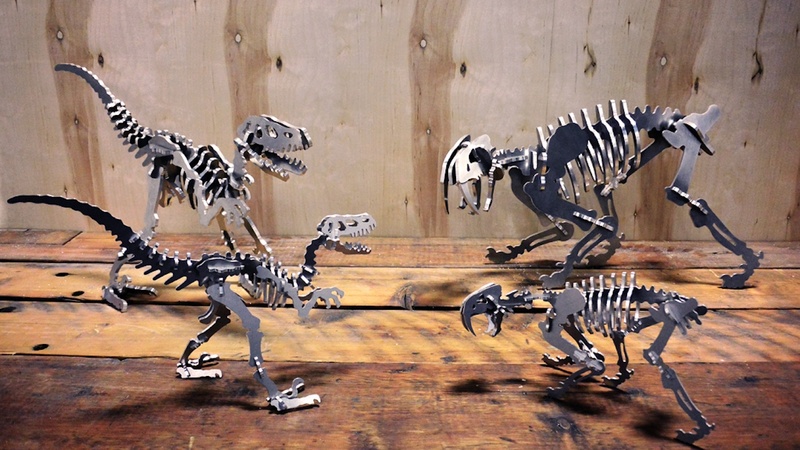 Both the Smilodon and the Velociraptor arrive in complete assembly so you can display them immediately. 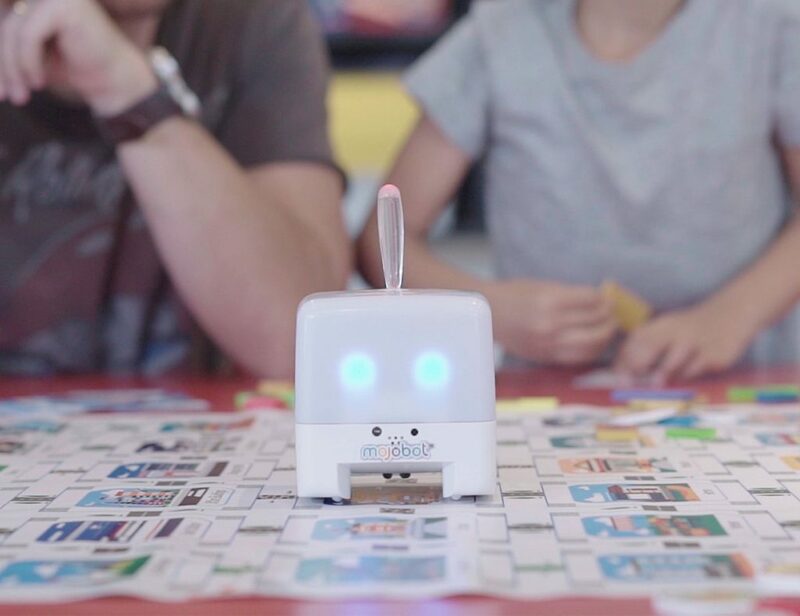 In addition, they stand sturdily on their own without the help from stands or adhesives. 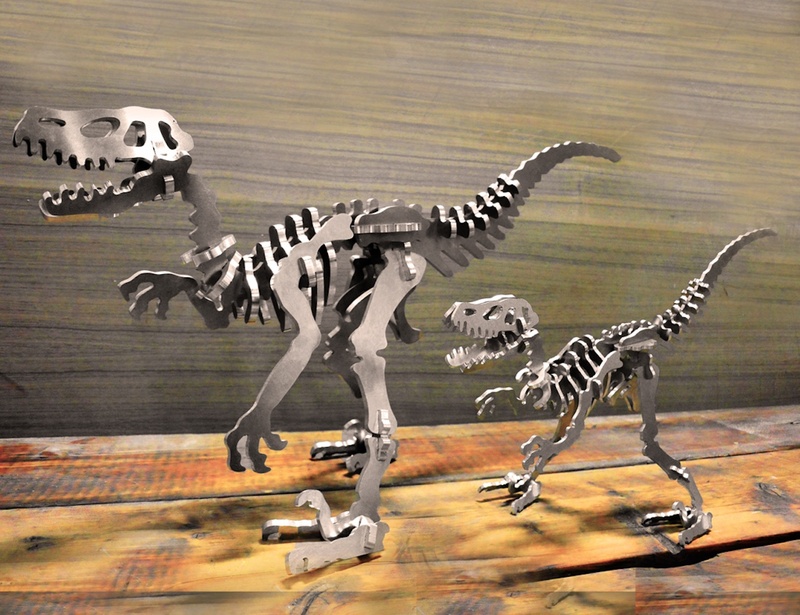 The Dinosaur Skeletons come in two sizes: small and large. The small Smilodon measures 12 inches tall while the large is 21 inches. 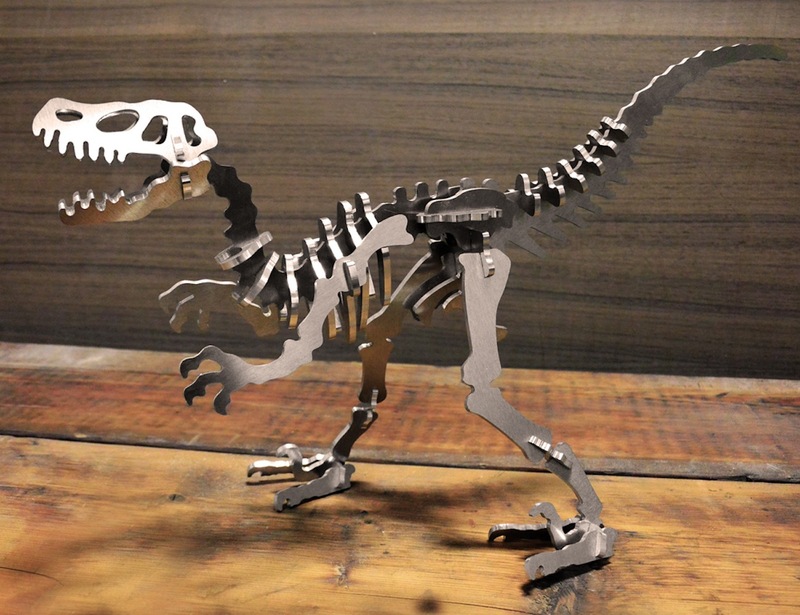 On the other hand, the Velociraptor stands at 16 inches in the small version and 26 inches in the large.